An American classic, this Wellworth high-efficiency toilet tank reduces water consumption without compromising on flushing power. Its economical 1.28-gallon flush setting provides significant water savings of up to 16,500 gallons per year compared to a 3.5-gallon toilet. This tank features a protective lining coating the inside to prevent beaded moisture. It can be combined with a coordinated bowl for a customized ensemble. Modeled after early-1900s American design, the Bancroft Suite embodies traditional elegance with its refined curves. 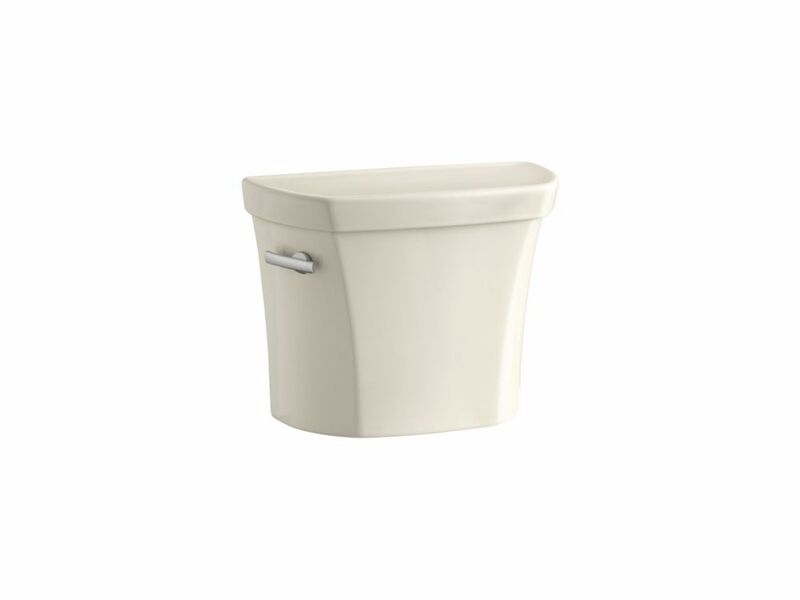 This Bancroft water-conserving toilet tank pairs with the coordinating Bancroft bowl for a classic look. A 1.28-gallon flush setting provides significant water savings of up to 16,500 gallons per year, compared to an old 3.5-gallon toilet, without sacrificing performance. Wellworth 1.28 Gpf Toilet Tank Only With Insuliner In Almond An American classic, this Wellworth high-efficiency toilet tank reduces water consumption without compromising on flushing power. Its economical 1.28-gallon flush setting provides significant water savings of up to 16,500 gallons per year compared to a 3.5-gallon toilet. This tank features a protective lining coating the inside to prevent beaded moisture. It can be combined with a coordinated bowl for a customized ensemble.